Update 2 (2/16/19 @ 12:26 AM CT): In POCO’s latest community update post, the company confirmed that development on enabling 4K video recording at 60FPS on the POCO F1 has been completed. More details below in the update. Update 1 (1/18/19 @ 4:17 PM CT): MIUI 10.2.2 Global Stable is now rolling out for the Xiaomi POCO F1. It includes support for 960FPS video recording and Super Night Scene. [email protected] support and Widevine L1 certification have yet to roll out. 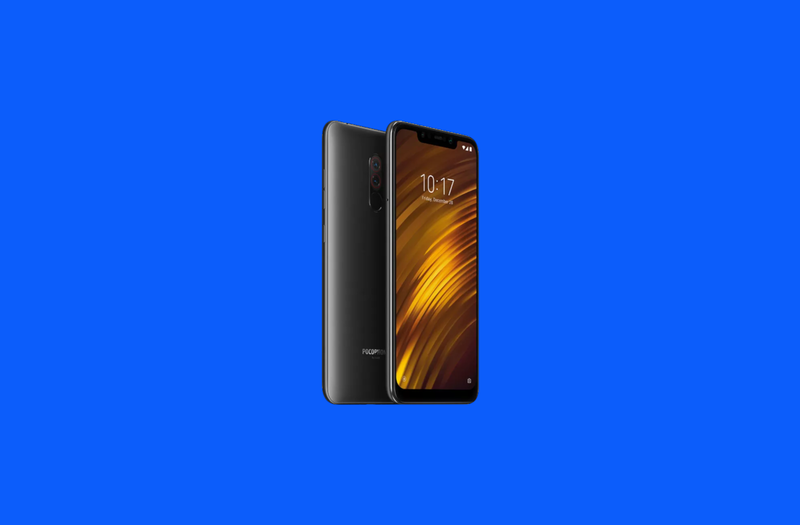 The Xiaomi POCO F1 has been praised as one of the best value flagship smartphones of 2018, putting it head-to-head with smartphones like the OnePlus 6 and OnePlus 6T. With a Qualcomm Snapdragon 845, 6/8GB RAM, a large 4,000 mAh battery, and the latest version of Android, it’s a compelling option if the phone is available in your region. Xiaomi’s commitment to provide frequent software updates makes an already great device even better. Last month, the latest MIUI 10 beta for the device brought 960fps video recording and super night scene mode. These features will make it to the stable build of MIUI 10 later this month, but more features are on the way. Manmohan Chandolu, General Manager at POCO India, confirmed that 960fps video recording will be a part of a stable MIUI 10 build which will be released in the coming two weeks. The update also contains fixes for battery drain and touch issues. More interestingly, Mr. Manmohan also confirmed that 4K 60 FPS video recording will be present in a future stable update available in February. The former feature has been requested by many users of the POCO F1. Some users even found a way to enable it unofficially on our forums. Mr. Manmohan also mentioned that the POCO team is working with their partners to provide Widevine L1 certification on the Pocophone. We’ve outlined the problem of lacking the mentioned certificate right when the device launched. It is still unclear how Xiaomi is going to fix this problem, given that the POCO F1 lacks the device-unique secret key in the TrustZone. At this point, all we can do is wait and see. As promised, POCO is rolling out the MIUI 10.2.2 Global Stable update for the Xiaomi POCO F1, according to multiple users on the MIUI forums. You can download the OTA file that brings you from MIUI 10.1.30 to MIUI 10.2.2 here. Alternatively, you can download the full OTA update right here. We’ll let you all know when Xiaomi/POCO rolls out the promised update with [email protected] video recording and Widevine L1 certification for HD Netflix and Amazon Video support. In a blog post, POCO CM has confirmed that development on enabling [email protected] has been completed. The feature will be rolled out to users pending performance optimizations. An independent developer proved this feature was possible, so we’re glad to see POCO deliver it to users in an official update. The blog post also confirms that fixes for touch lag, wrong touch, and WiFi icon disappearances are on the way. The team is also investigating issues with the app icon animation missing when returning to the launcher, battery drainage in the Android Pie update, notifications staying in the status bar longer than they should, excessive time to take photos with flash, and issues with OK Google hotword detection when connected to Bluetooth.